We can’t believe that summer is nearing its end. We are looking forward to seeing you all at our next meeting which will be our Adjuster Appreciation Event on September 12 at Heron Lakes Country Club. Please make plans to attend and bring a guest with you. 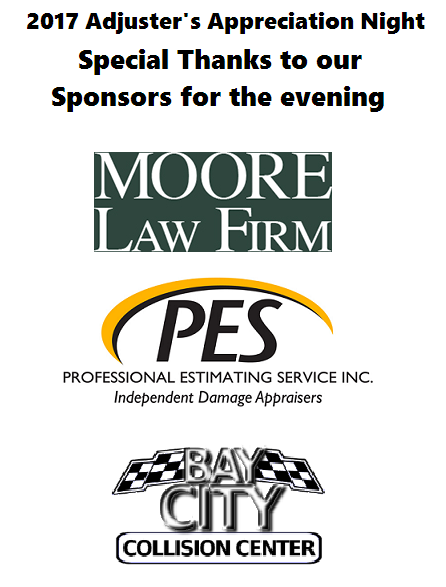 We will have an open bar for this event, courtesy of Moore Law Firm.